My name is Tommy Murphy and I have been a plumber/gas fitter for over 16 years, having extensive experience within both the commercial and residential fields. I am originally from London, England where I owned a successful plumbing and heating company ‘Revive 360’. Both my wife and I were attracted to the beauty of North Vancouver, the mountains, the ocean, the warm friendly community spirit and the perfect place to start a family, and so we immigrated to Vancouver in 2014 and haven’t looked back since. What makes Seaview Plumbing & Heating different is that we really listen to our customers. We like to find out exactly what your needs are, we are transparent with the plan of action and pricing, we focus on meeting customer requirements and we provide great workmanship and communication. Moe's Plumbing Drainage & Heating is a full service plumbing company serving Coquitlam, Vancouver, Burnaby , Surrey , and the lower mainland! We offer plumbing, drainage, and heating services in timely manner with superior quality. Whether you have a burst water main , clogged pipe, or simply need a hot water heater replacement Moe's Plumbing is here for you . With Dispatch available 24/7, 365 days a year - you can be rest assured that your emergencies are dealt with as soon as possible. Water is a main part of our integral lives and pipes are the arteries of our society . Choose Moe's Plumbing & Heating Inc. to have the plumbing drainage or heating repair done right ! VanGO Glass is Vancouver`s Frameless Glass Shower Specialist, providing high quality custom interior glasswork & service second to none. Our expert-level Journeyman Glazier has over 25 years experience supervising high end Designer and Architectural projects, including the ``#1 Best Dressing Room/ Ensuite" as rated by HGTV's Top Ten. He now offers his high level of craftsmanship & knowledge to smaller Design, Commercial & Residential clients. Why VanGO? With tempered glass there is no room for error. You can’t cut it, patch it or fill it, so measurements need to be exact. Lesser trained installers leave big gaps between pieces to hide inaccurate measurements, or cheat with u-channel in place of skill. Both cut costs but create future water damage & maintenance headaches. VanGO provides detailed, accurate, ‘everything included’ written quotes promptly at no charge. Any upgrades or changes will not be charged unless approved by you, clearly and in writing. Check out our portfolio today or give us a call in the Vancouver Area to explore how you too can turn your bathroom into art! 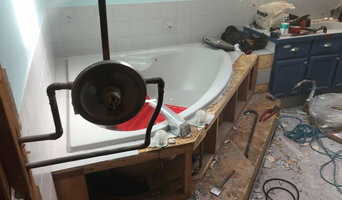 Spruce Bay Construction and Renovations Ltd. If you're looking for trusted home remodeling or kitchen and bathroom renovations experts without anchoring so much on budget constraints, then we offer you the best opportunity to revel in such a lifetime decoration your eyes will be pleased to see. Let us be your friendly hero till we rescue your prized interest of a dream home from the rigors of having to look for quality bathroom and kitchen renovations, overall home renovations, and even room additions to exceed your expectations once and for all. We serve the areas of Vancouver, Surrey and Delta. We collaborate with the best engineers, sub-contractors and interior designers to make your home a space for everyone; family, friends and guests alike welcoming one another. We are fully insured and licensed to take on your room additions, kitchen and bathroom renovations or any home improvement projects in Vancouver, Surrey and Delta. All homeowners in Delta, Langley, Burnaby, Surrey, Vancouver and surrounding areas will be endowed with specialized home improvement procedures and benefits as a means of us giving back. From small to large projects, our construction experts from Surrey, Vancouver, Delta and surrounding areas are dedicated and committed to provide on time and quality results within your budget. We value customer trust which makes our manpower and workmanship ultimately revitalized to exceed our customers' expectations in Burnaby, Delta, Surrey, Vancouver, and nearby areas. We deliver high quality kitchen and bathroom additions, renovations, and many more home remodeling services. We complete our job and stay until it's done to your satisfaction. 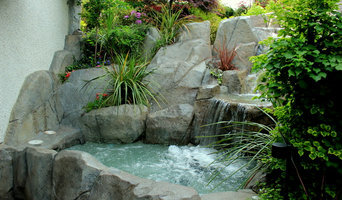 Purity Designs Inc. is a full service professional design firm working in the lower mainland of British Columbia. Our projects include residential custom homes, home and apartment renovations, interior design with full furnishing packaged and commercial design for office spaces, dentists and recreational spaces. Complete Renovations $35,000 to $600,000 Interior Design Services Range from $125 per hour to project based fees from $5,000 to $35,000 depending on scope of work. 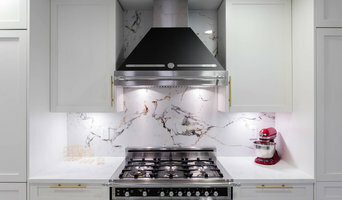 Kitchen Renovations range $25,000 to $150,000. Bathrooms range from $15,000 to 60,000. Basements $35,000 to $150,000 Family Rooms $10,000 to $100,000. Our team of designers are able to take on a small project from updating a room in your home to a larger scale project such as multi-residential to commercial spaces. No task is too big or too small. Give us a call we are always happy to chat about your design needs! We provide expert plumbing, heating, gas, HVAC, air conditioning and ventilation services for home renovations and custom built homes throughout Metro Vancouver. Calais Spas and Billiards has been providing Nanaimo and surrounding communities with quality products and outstanding service for more than 20 years. We strive to offer the best quality products and excellent after sales service and support on everything that we sell. Our technicians are certified by the Pool & Hot Tub Council of Canada to service all makes and models of swimming pools and hot tubs. We also have a fully stocked accessories and parts department. We encourage you to come visit our 4000 square foot showroom to see why Calais Spas is the Island’s premier source for Swimming Pools, Hot Tubs and Spas, Billiard Tables, Saunas, Dart Boards, and home recreation accessories. Our friendly, knowledgeable staff would love to show you how some stores really do have all the fun!